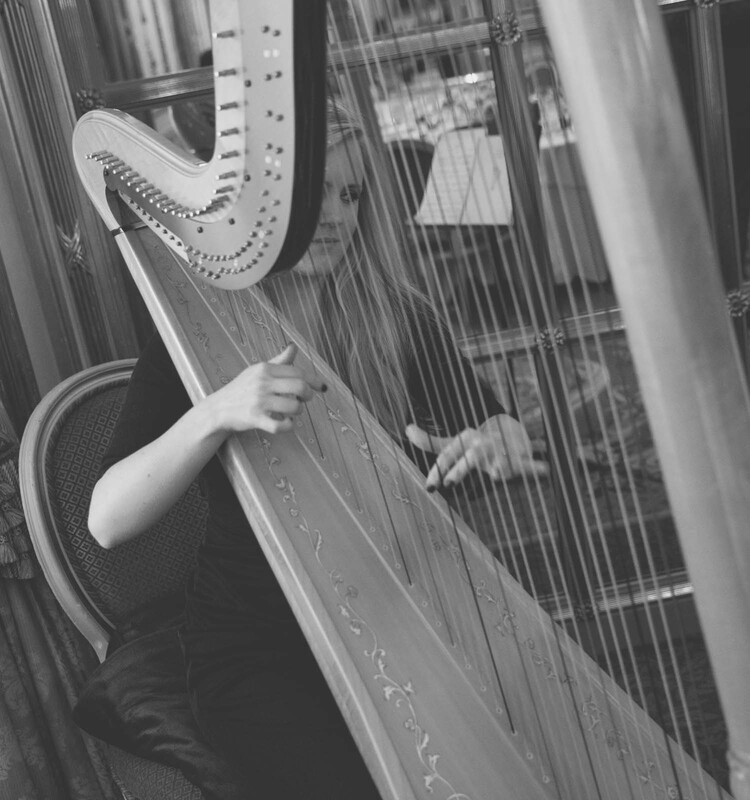 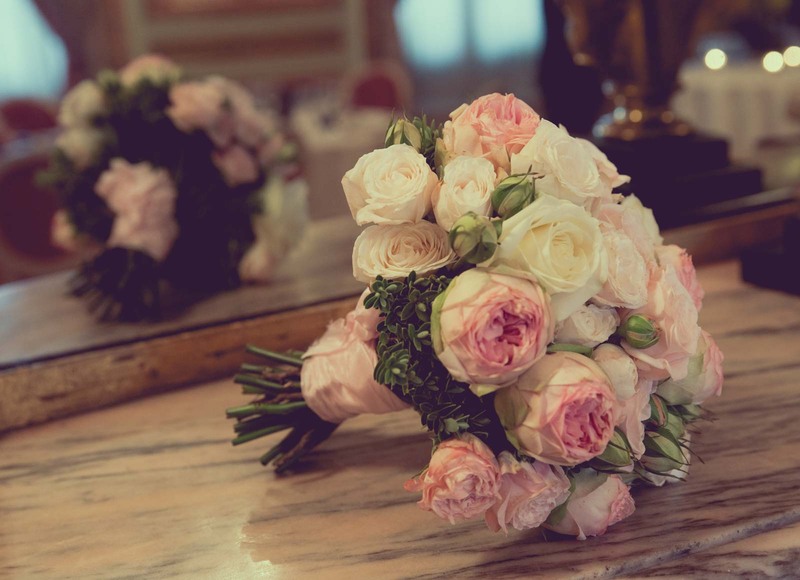 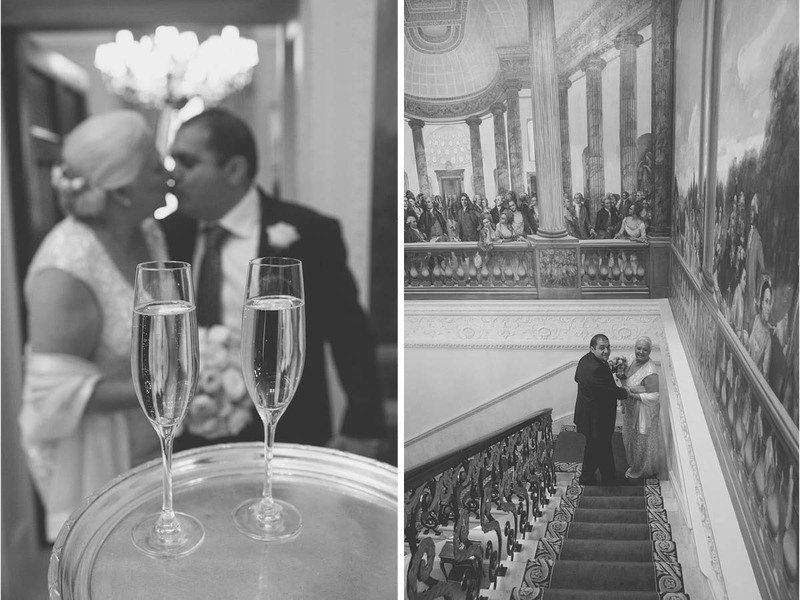 Rose & Rabih Wedding Photography at the Ritz Hotel London was a beautiful and intimate affair. 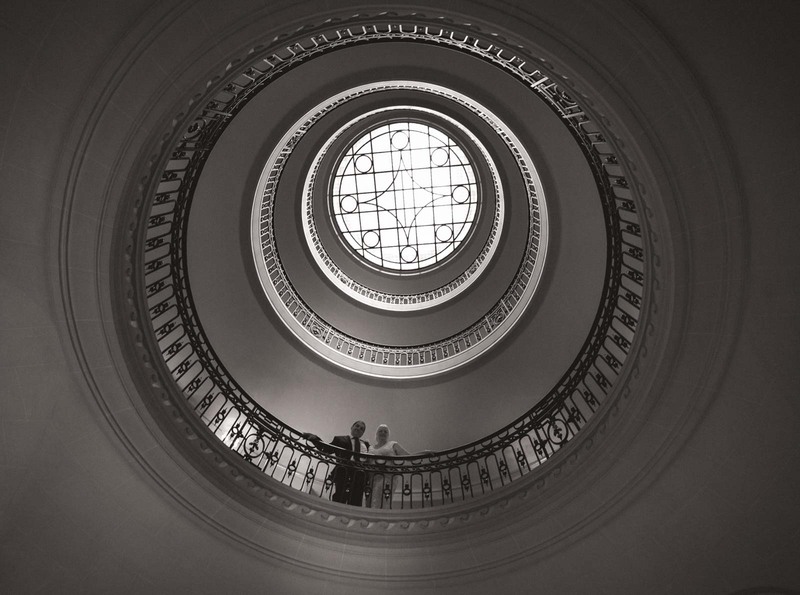 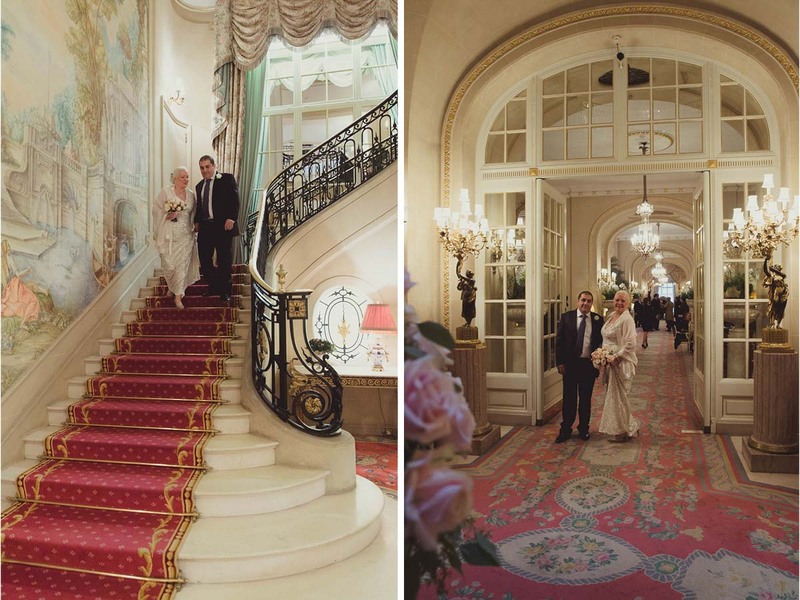 After some bridal portraits Rose was escorted by Dries along the picturesque halls, stairs and corridors of the Ritz hotel to the ceremony room where family and friends where excitedly waiting for the ceremony to commence. 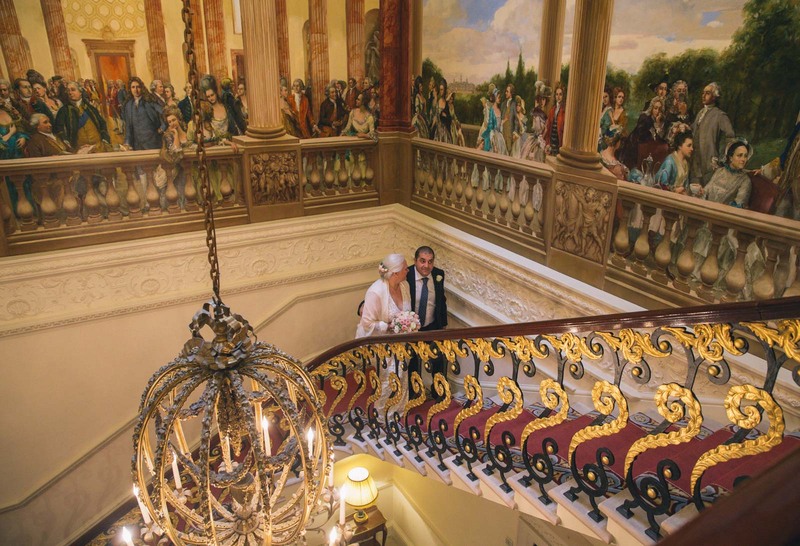 Something about the wall sconces and feature chandeliers seem to paint the entire room with a gloriously soft diffused light that glitters off the gilded gold decor and creates a wonderfully rich, opulent setting. 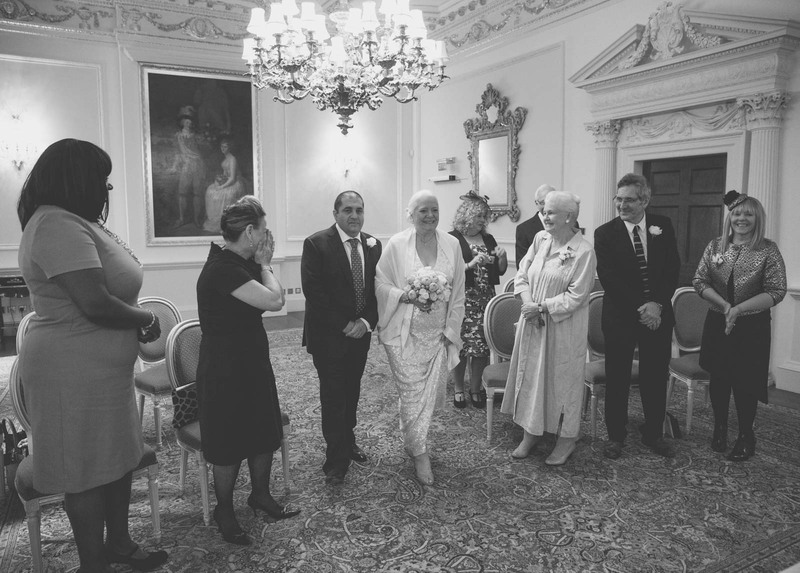 The civil ceremony was lovely, with broad smiles on the faces of all in attendance as the couple exchanged vows and rings. 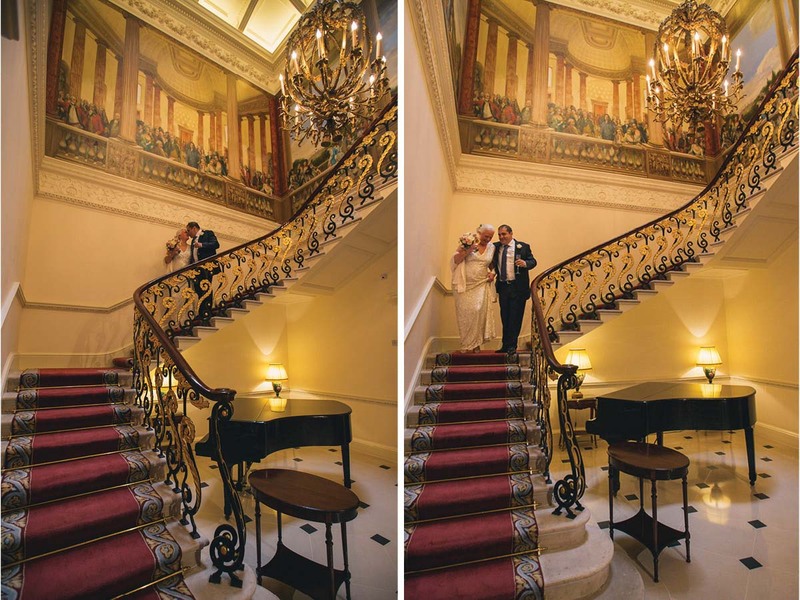 We could hardly wait to take them to various favourite spots for photography around the hotel and made a beeline for the staircase overlooked by a gorgeous period Fresco. 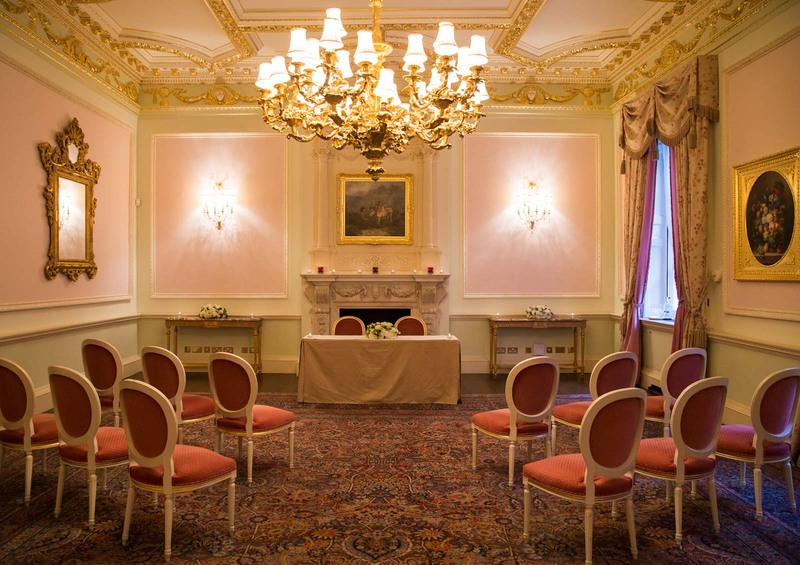 Again the lighting in this area is sublime, and we were sure to take full advantage of the setting. 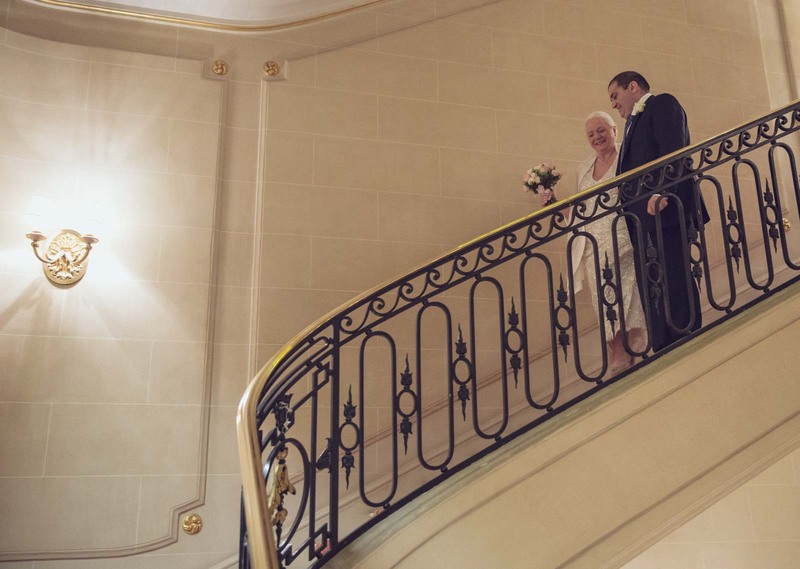 Some of our favourite shots included one look up at the Rose & Dries as they stood framed by a wondrous multi-leveled balcony with natural light from above filtering down beautifully. 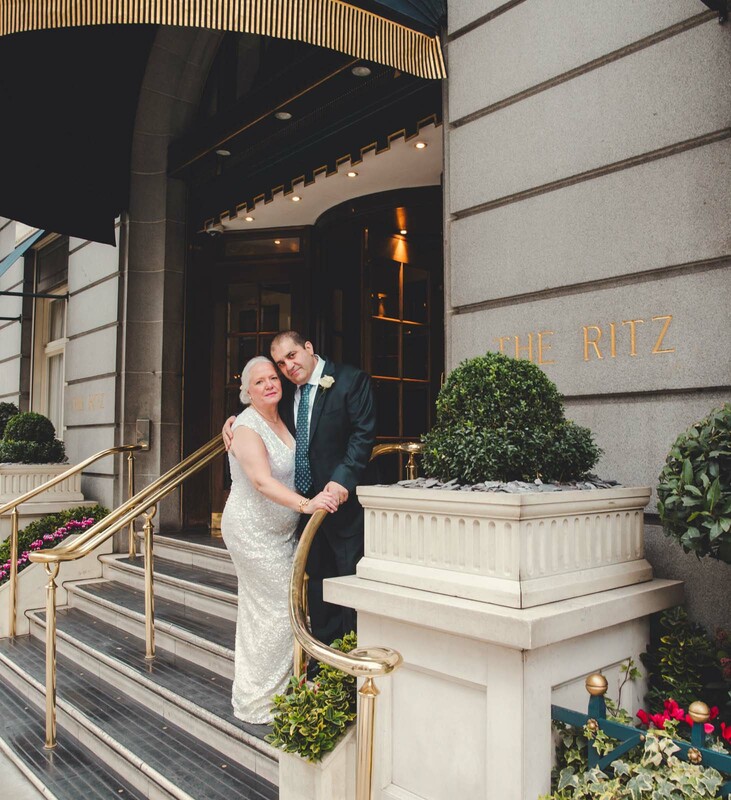 Another must have photo for any couple celebrating their wedding at this magnificent venue is one taken from the iconic front of the Ritz (which you can see below). 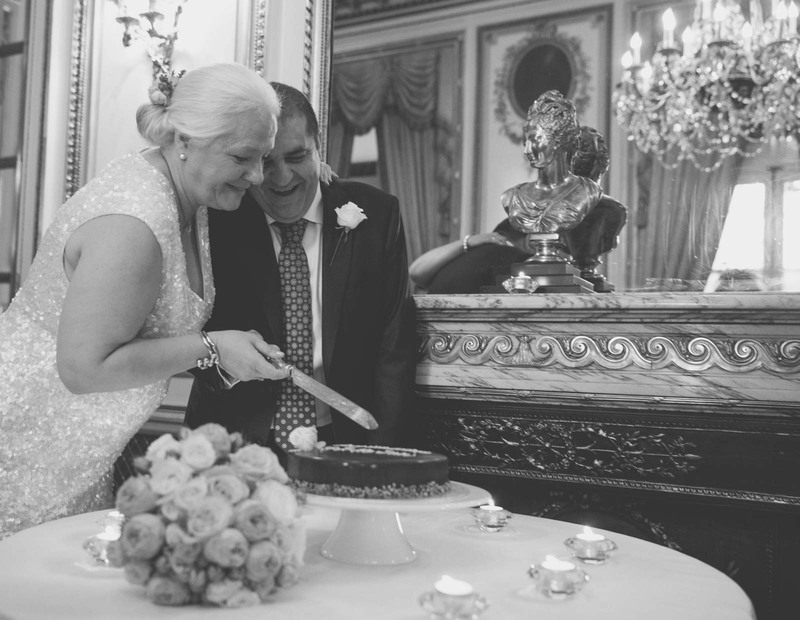 The reception took place in an intimate little dining room, where the couple cut the cake and celebrated the occasion with their family and closest friends. 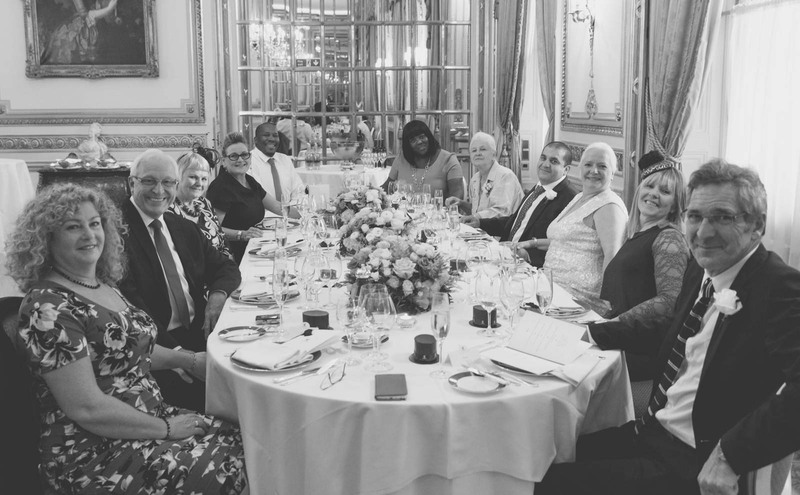 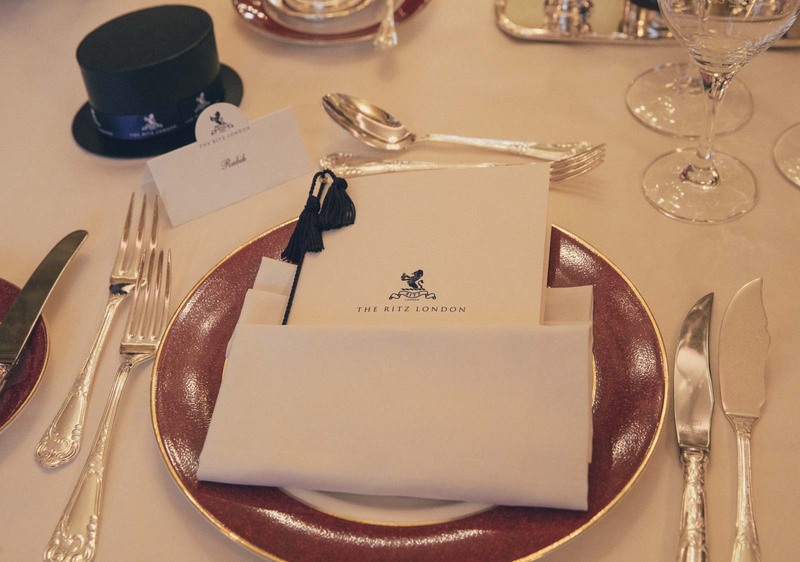 We took great care to capture some candid shots of the guests enjoying themselves without being seen – as any decent reportage photographer should! 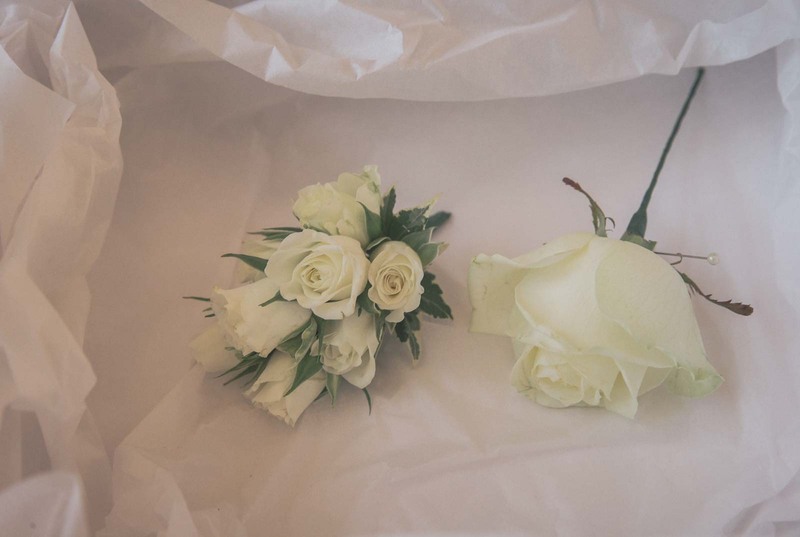 Thank you Rose & Dries, it was a pleasure to attend your special day.